Apple's stock pop up after earnings came out. Though revenue fell, nevertheless the stock did not drop. From a technical perspective, is this stock a buy now? As usual, we will employ technical analysis to help us figure out the state of the stock. Let us take a look at the monthly chart of Apple first. The stock has drop quite a lot and the monthly stochastics is quite oversold. It is also near the monthly 50 MA which is where the stock found support in 2016. Although it has yet to drop to the previous high made back in 2015, it is quite near to it. Picking up shares of a stock in a long term uptrend as it drops to long term support is a good step to take for most investors. In fact some investors might be thinking just that. When we look at the weekly chart of Apple we begin to see the extent of the drop. Quite a steep drop actually. But the stock did trade back above a downtrend line albeit quite a steep one. I would prefer a less steep downtrend line. 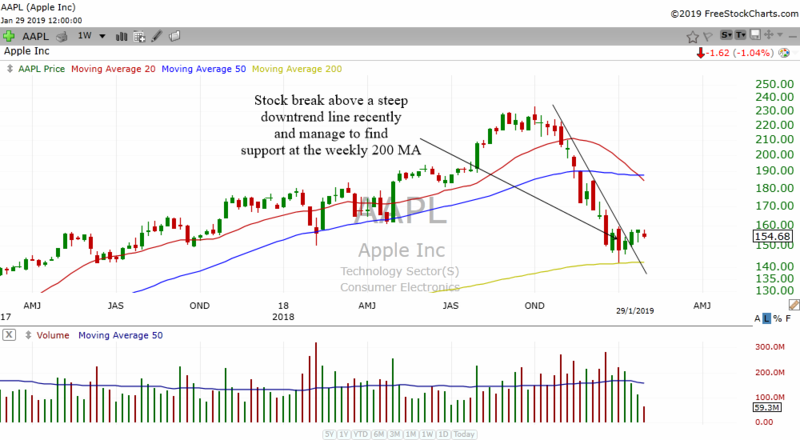 Apple also found support at its weekly 20 MA and today's gap up will help send it up. Pre market prices are up more than 5% at the time of writing. Gap ups can be a good sign that the stock is once again being accumulated. 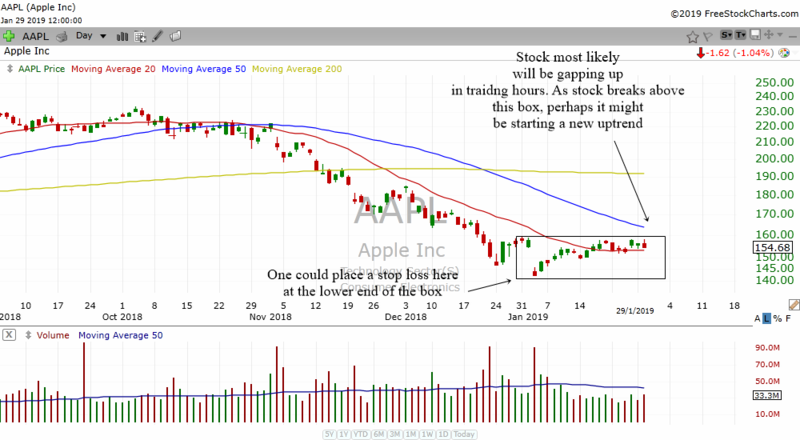 The daily chart of Apple shows us that the selling momentum has indeed slowed down. It has manage to trade higher and move sideways. By today it will gap above the box I have drawn and possibly move above the 50 MA quite soon. I think the box area will be a good area to watch. If Apple manages to stay above this area, then investors are likely to come pouring in and the stock will go up. Thus, if one is thinking of investing in this stock perhaps a logical stop loss might be at the lows of the entire box. 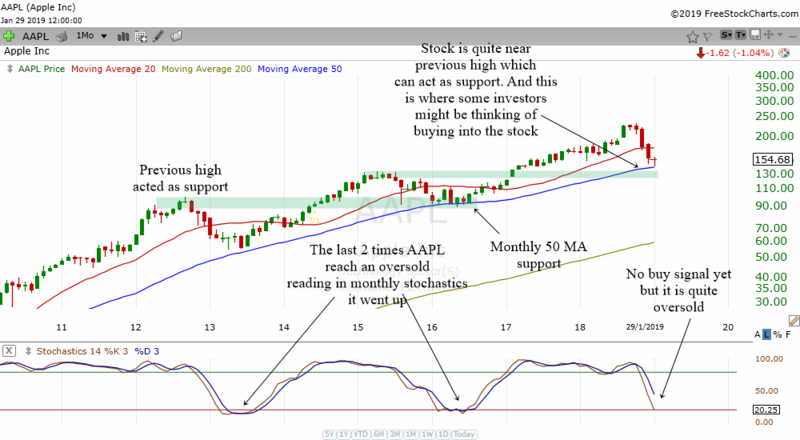 Hopefully Apple will begin a new stage 2 uptrend and help to send the entire markets higher as well. Happy investing and happy trading!